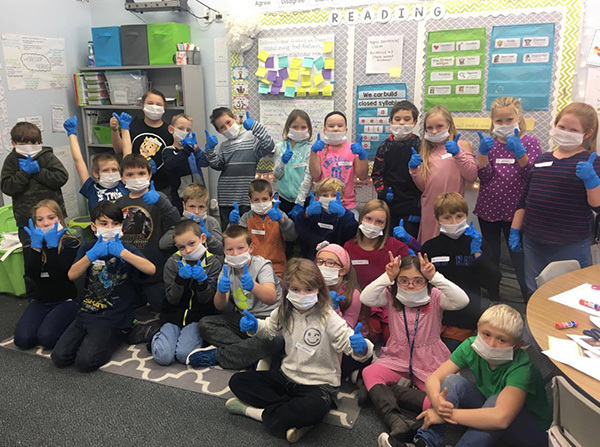 Tag Archive | "third grade"
Third grade students had the opportunity to be “surgeons” as they performed “book surgeries” to start identifying, describing, and using non-fiction text features! 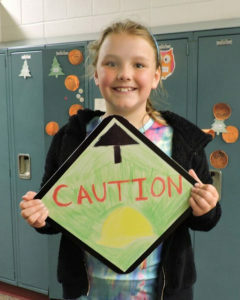 Adeline Bender, a third-grader at Beach Elementary, is shown with her winning sign from the Work Zone Safety Poster Contest put on by the Kent County Road Commission and Kentwood Public Works Departments. Photo courtesty of Maura Lamoreaux, Kent County Road Commission. “Avoid distractions. Somebody needs you!” Hritvi Mahajan, a third grade student at Orchard View Elementary, incorporated this powerful warning into her winning entry for the first annual Work Zone Safety Poster Contest sponsored by the Kent County Road Commission (KCRC) and the Kentwood Public Works Department. For the contest, third grade students from throughout Kent County were invited to design caution signs promoting safe driving habits through a work zone. “It is critical to the safety of motorists and our workers, alike, that extra caution is taken when driving through work zones. We want to instill these values early so that good habits become second nature by the time these students are ready to drive,” said Steve Warren, managing director of Kent County Road Commission. To assist teachers, an online work zone safety resource folder was created, which included a letter to families explaining the contest, a three-minute work zone safety video, and a hand-out identifying the American Society of Safety Engineers’ safety tips for driving through a work zone. Every contestant receives a certificate of appreciation for participating in the competition and the winners receive their design replicated on a 10×10 aluminum sign, along with a KCRC sweatshirt. The four winning entries were also transferred onto 18×18 aluminum signs and will be used at local events by KCRC to promote work zone safety. A display exhibiting all of the contest’s entries was showcased at the 2017 APWA Family Event on May 17 at the Kentwood Public Works building. “Community support is crucial to the work that we do and to the safety of our motorists and workers. We applaud our newest ‘safety advocates’ for helping us spread the word and sharing important tips for driving through a work zone,” said Warren. Students “dined” on new book genres to move outside their reading comfort zones. The third grade students have been working hard on growing as readers. As a class, we’ve been tracking what types of books we were reading independently and noticed some “holes” in our reading lives. We made a goal to challenge ourselves and move outside our comfort zone when it came to trying new genres. To get started, we transformed our classroom into C ampbell’s Café with placemats, napkins, fake candles, signs, and some café music! 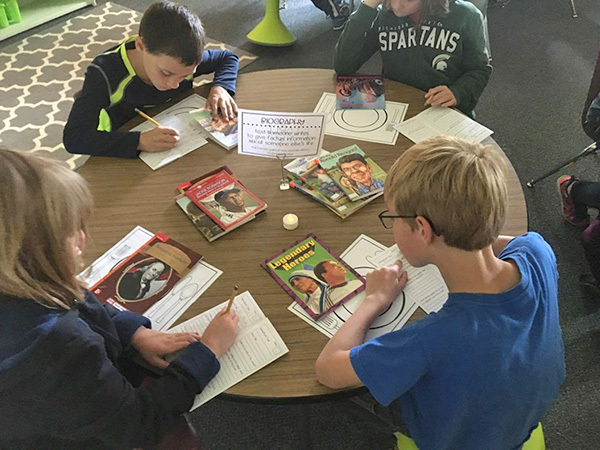 Students made reservations and did a book tasting to “get a taste” of different genres they wanted to try!